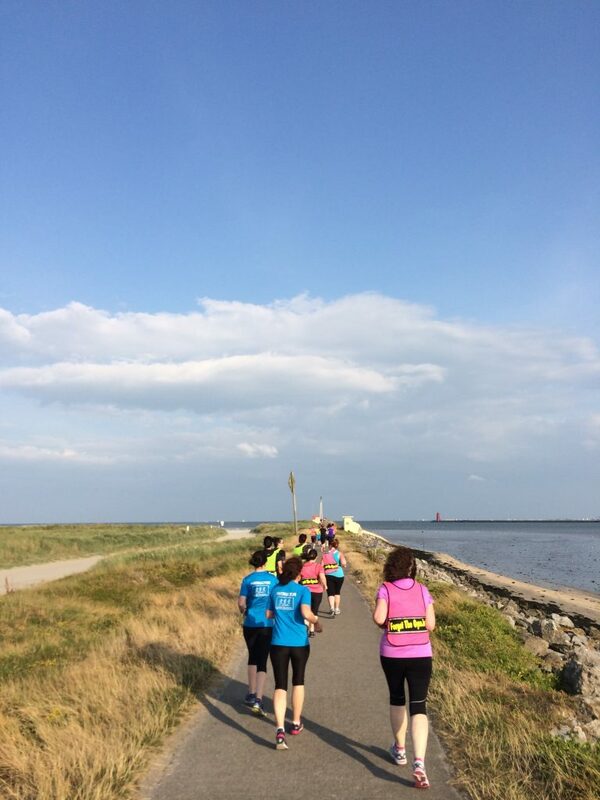 As our last class of summer term in Clontarf, we headed for Dollymount Strand. 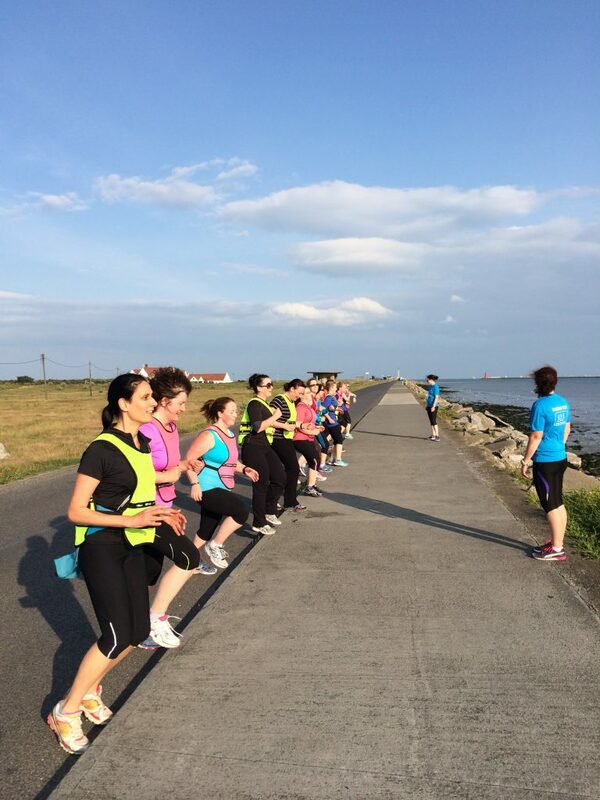 After two weeks of glorious weather and free classes all across the city, we didnt think it was possible that Clontarf could match some of the memories we had already created earlier in the week. Little did we know that at the end of the wooden bridge we were about to have a very interesting encounter. 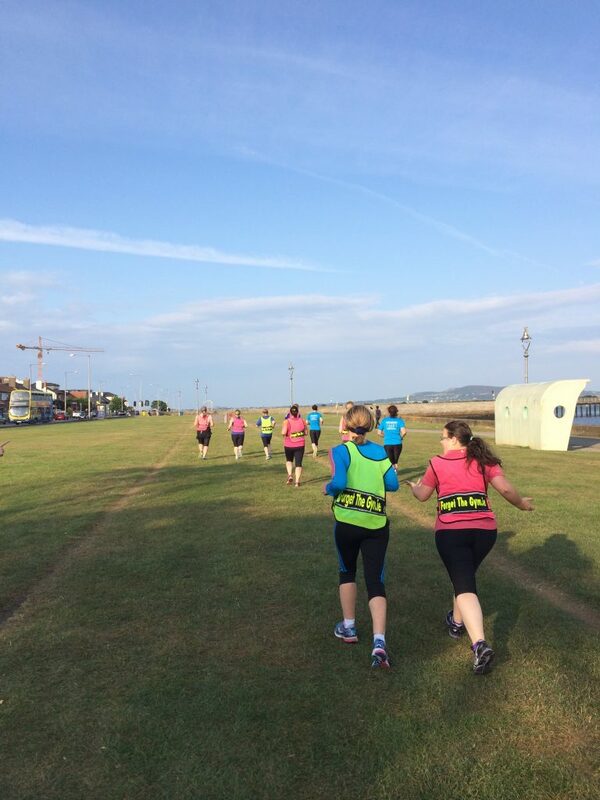 The class started off as any other, as we ran along the promenade and everyone got chatting. Down onto the wooden bridge, the first time for many of our students to run out this direction. 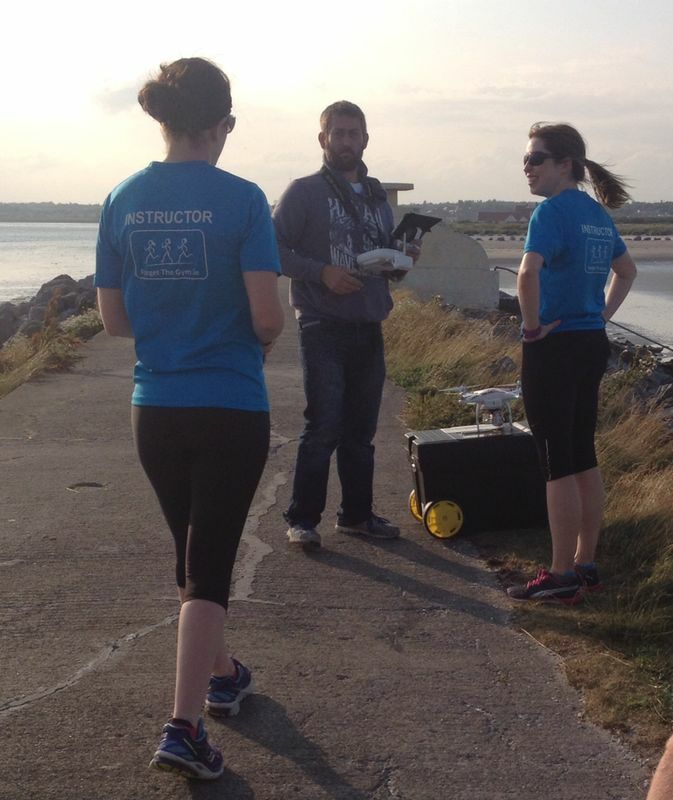 The wind on our back, incredible light and the promise of running on sand for a change kept them all going. 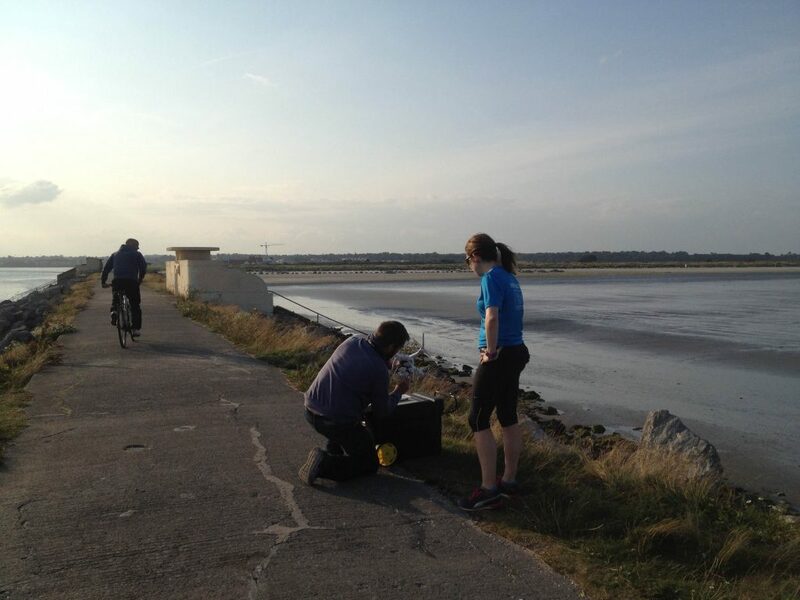 Plenty time for a few exercises along the way and a chance to take in the sights on our new route. 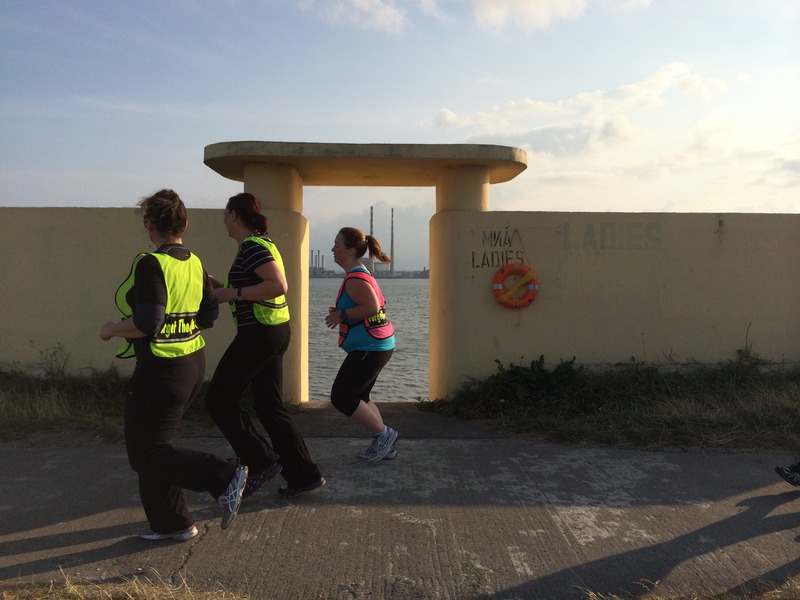 Running past the Ladies and Gents Bathing Areas, with the view of poolbeg towers through the entrance, it wasnt long before we got to the end of the road. 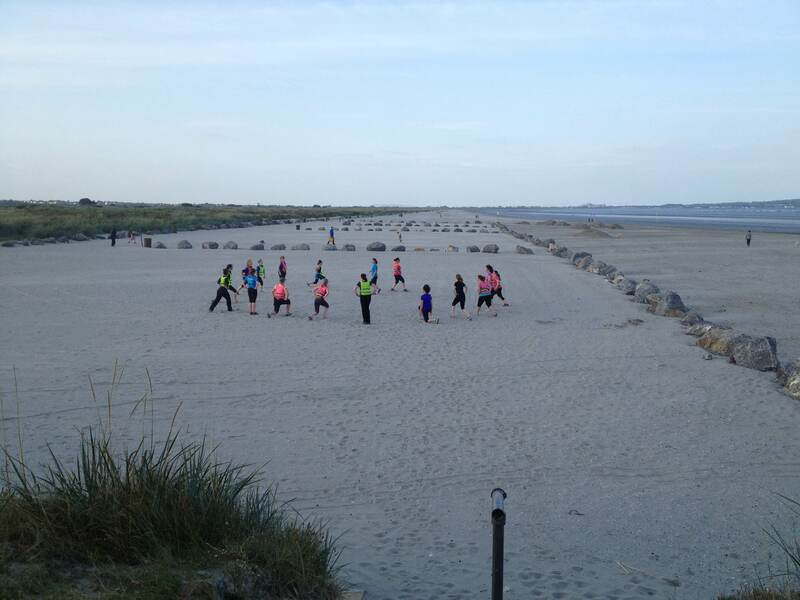 As we reached the Star of the Sea Statue on Bull Island, the view was spectacular. 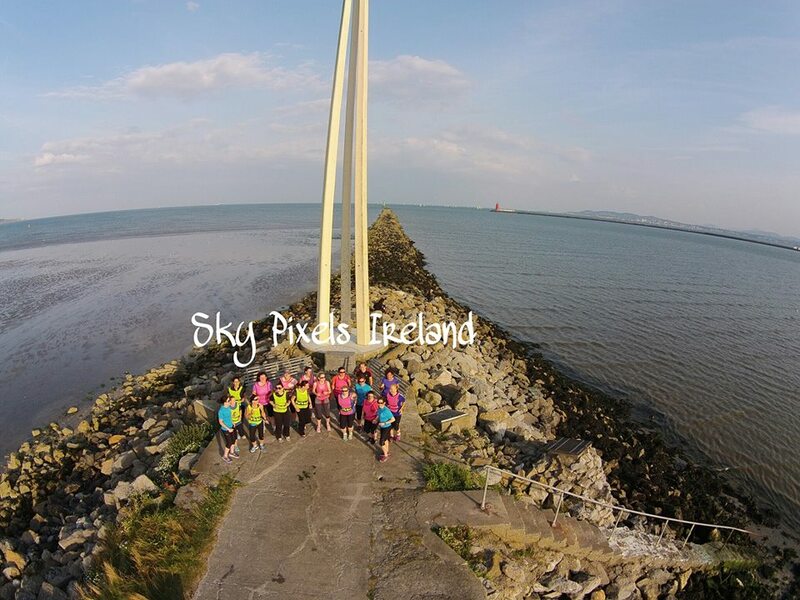 We looked back over the city, north over to Howth and south across to Sandymount where 3 days previous our other class had made it out to the lighthouse. It was certainly a photo moment. Keen to have everyone in the photo, we asked a local fisherman (or so we thought), if he would take an iphone photo for us. 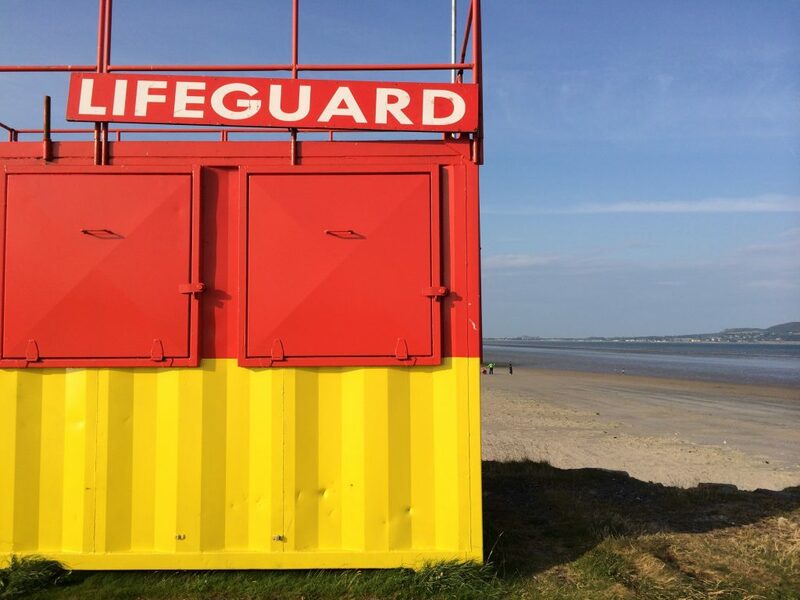 ‘I can do better than that he said’ as he opened up what turned out not to be a box of his fishing gear, but in fact a very strange looking contraption. 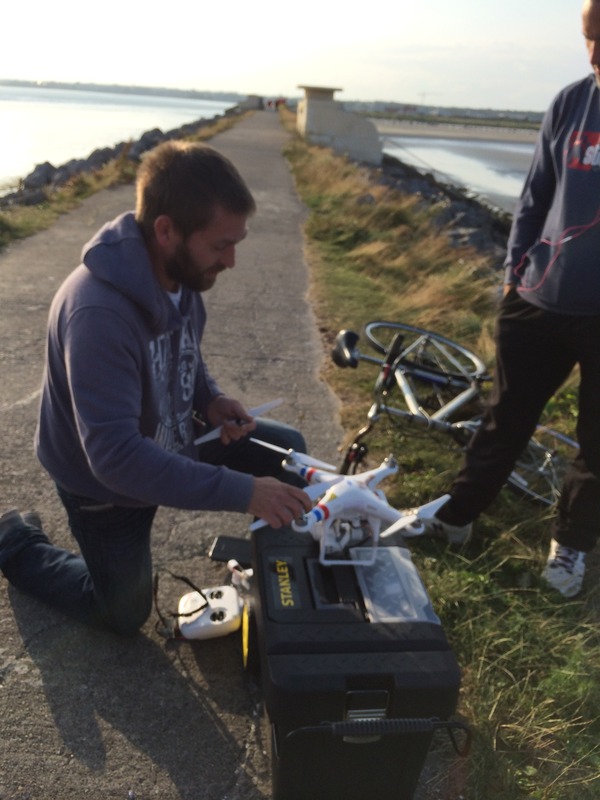 ‘Would you like an aerial shot?’ as he unveiled a camera drone (if that’s the correct word for it!). 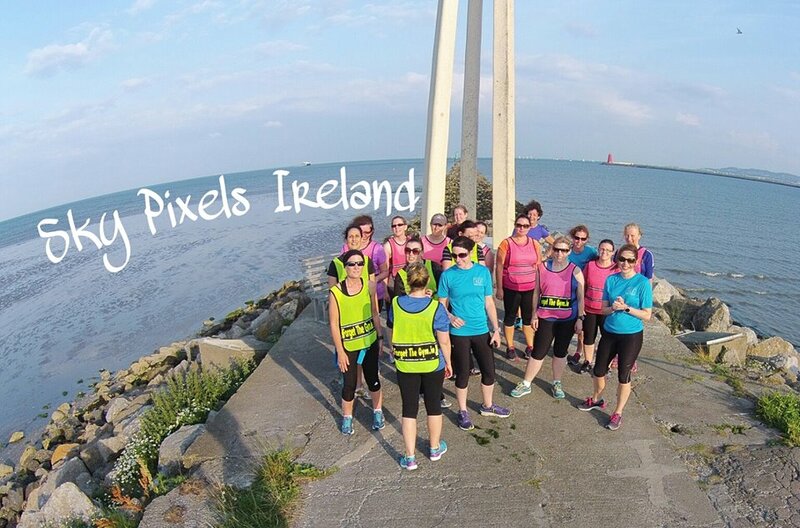 Always keen to have a few extra minutes of resting rather than running, everyone agreed and watched in awe as the camera shot up in the air, and started snapping away at us from various angles. 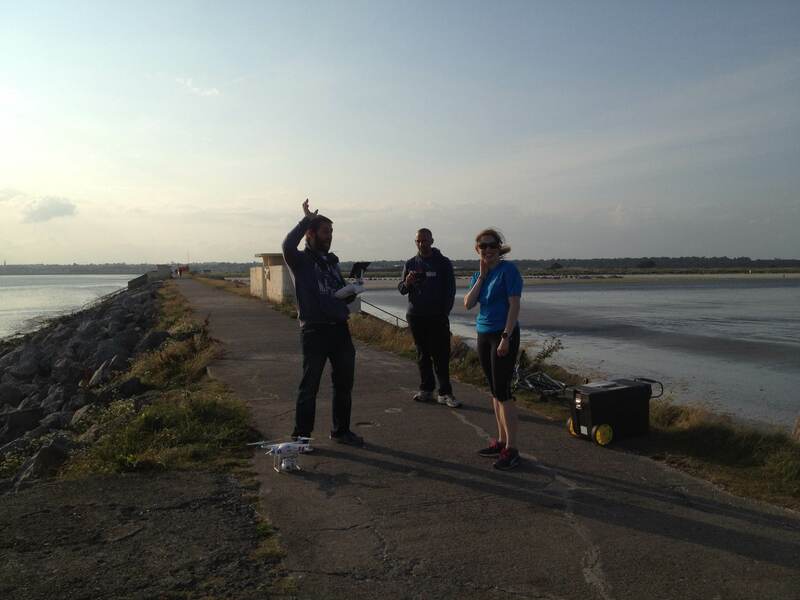 Nervous giggles and a little aprehension as we anticipated the guilt we would all feel it if dropped into the Irish Sea in front of us. 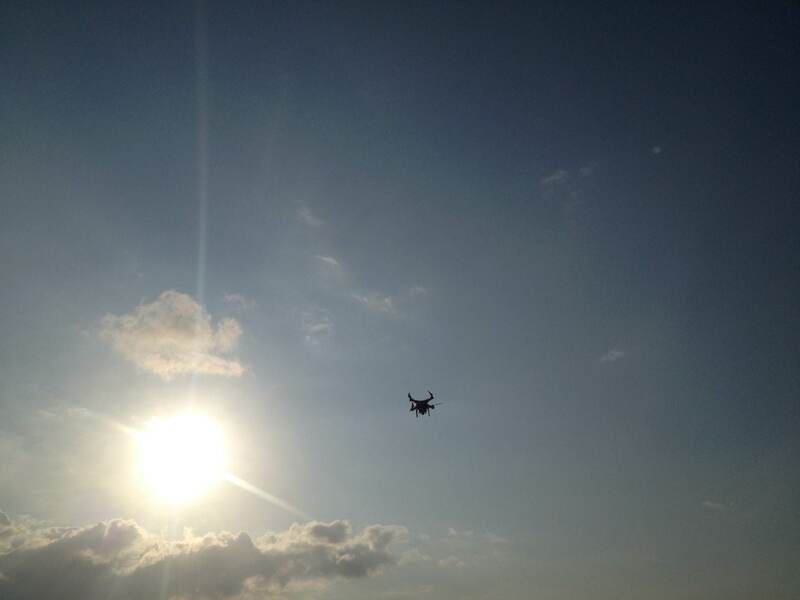 Its hard to believe a little gadget like this can fly higher than 1km into the air and capture a completely different view on the world. 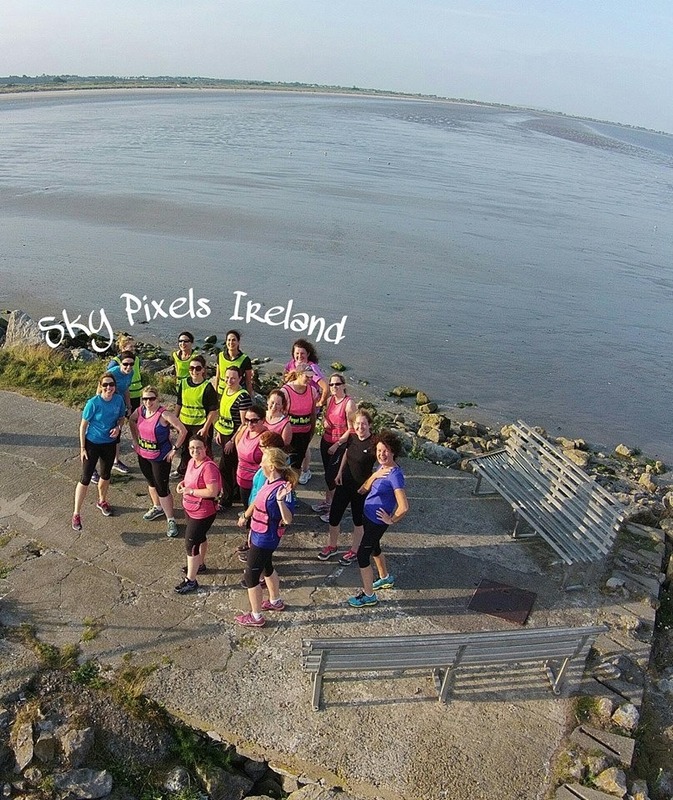 Keen to see if an aerial view is our ‘good side’, our new buddy Malcolm, of Sky Pixels Ireland, showed us a sample of us from above, and a few other photos of his work right across the city. 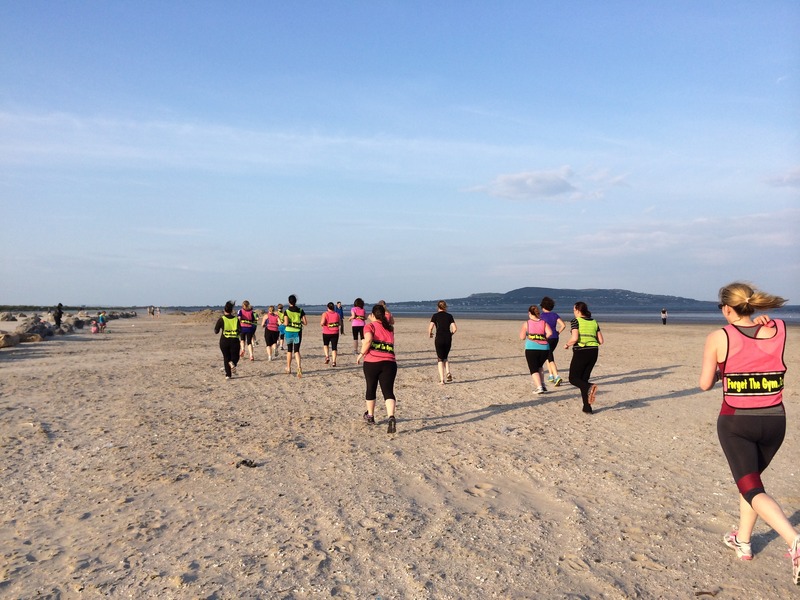 We could have stayed all evening chatting, but before the girls got too comfortable, they were chased back down onto the beach for their favourite planks and lunges. Running right into the wind on the return journey didnt seem to bother the girls as they were all on a high from our chance encounter. 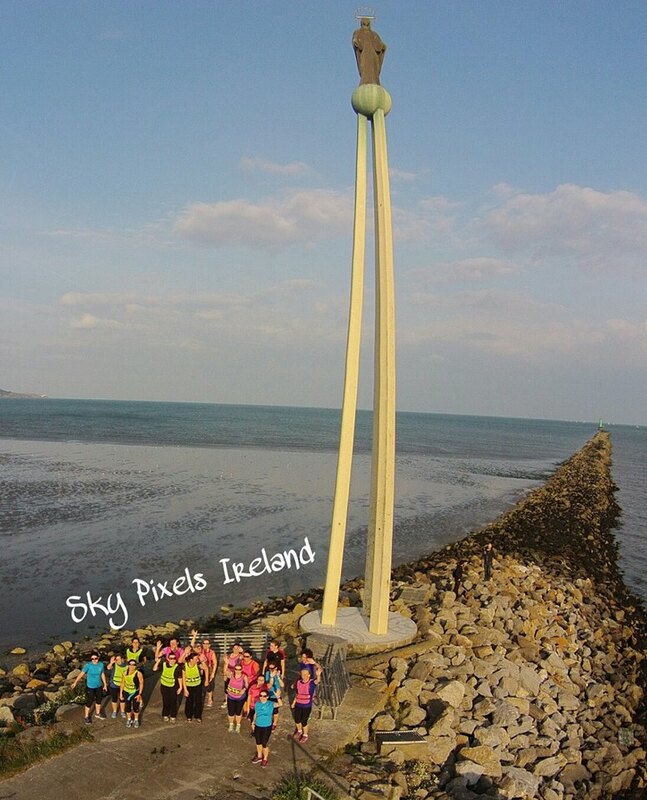 We have plenty of photos over the years of our classes, but our memories of our aerial shots on a sunny summer thursday in clontarf will be talked about for a long time yet. 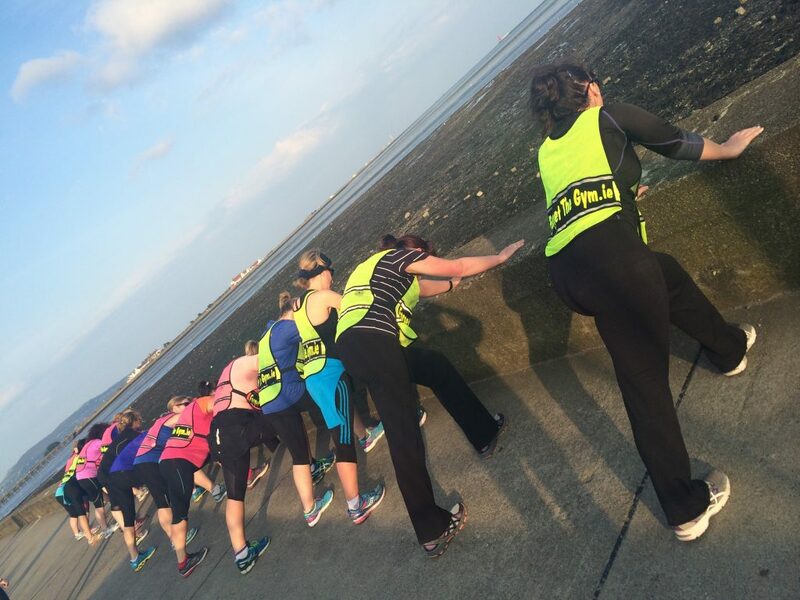 You have set a high standard for us to follow now with future snaps from classes!